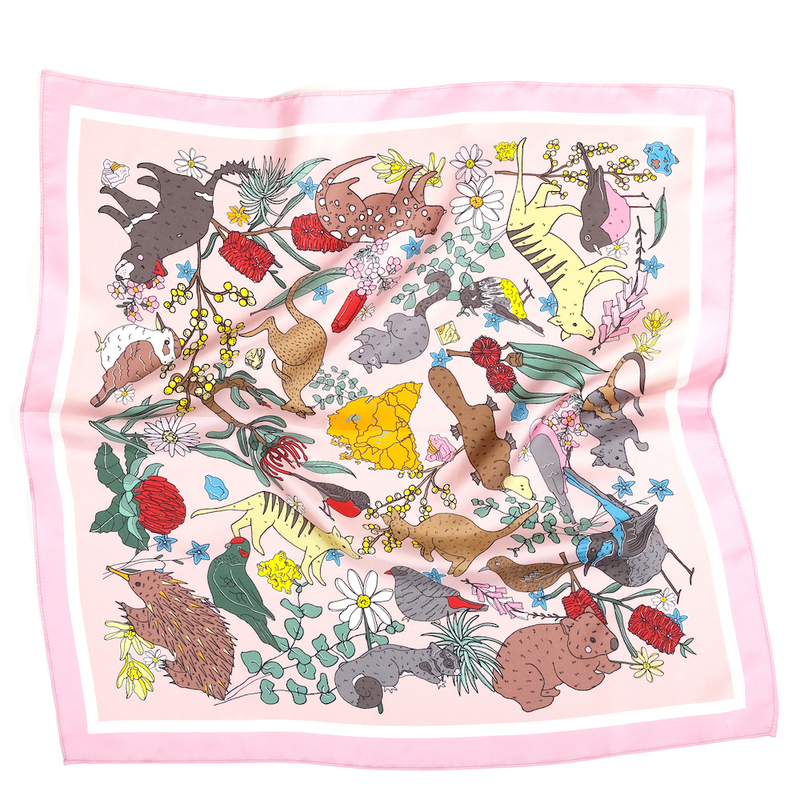 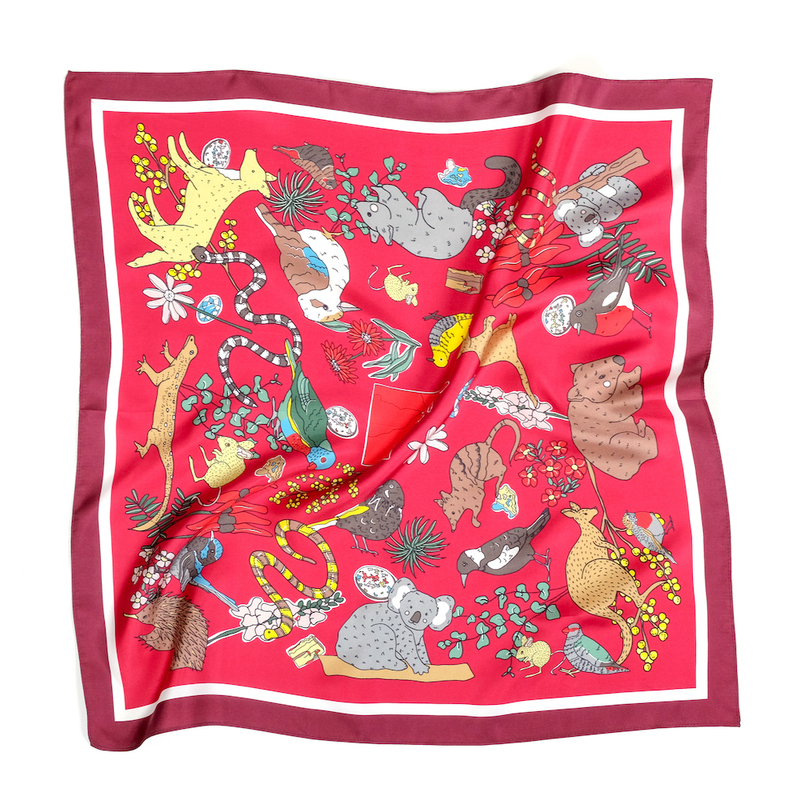 Series of illustrated silk souvenir scarves, inspired by the different states and territories in Australia, and the flora and fauna found in each location. 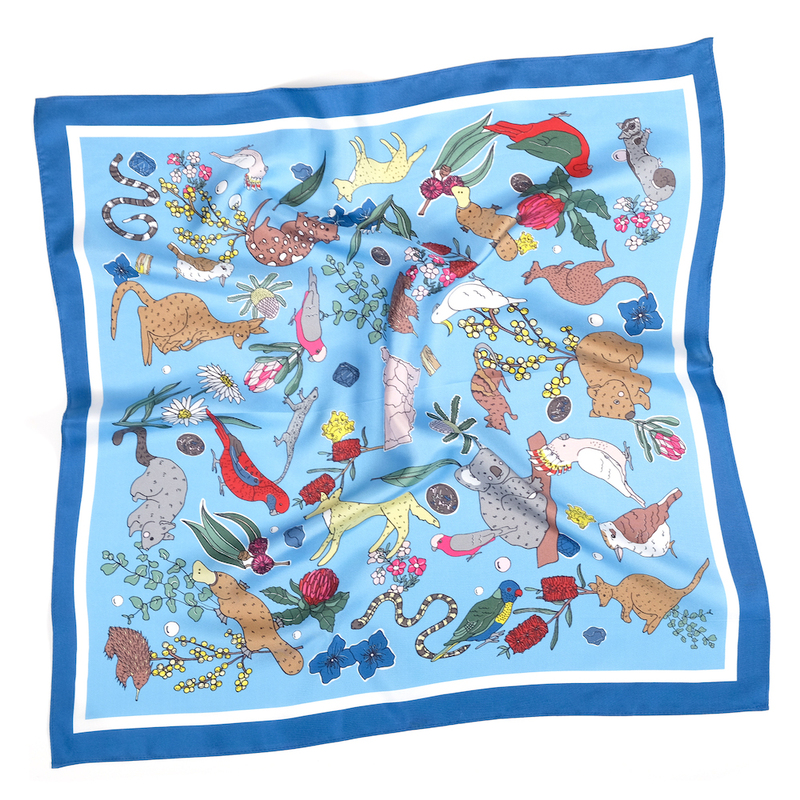 Full colour illustrations digitally printed onto silk twill. 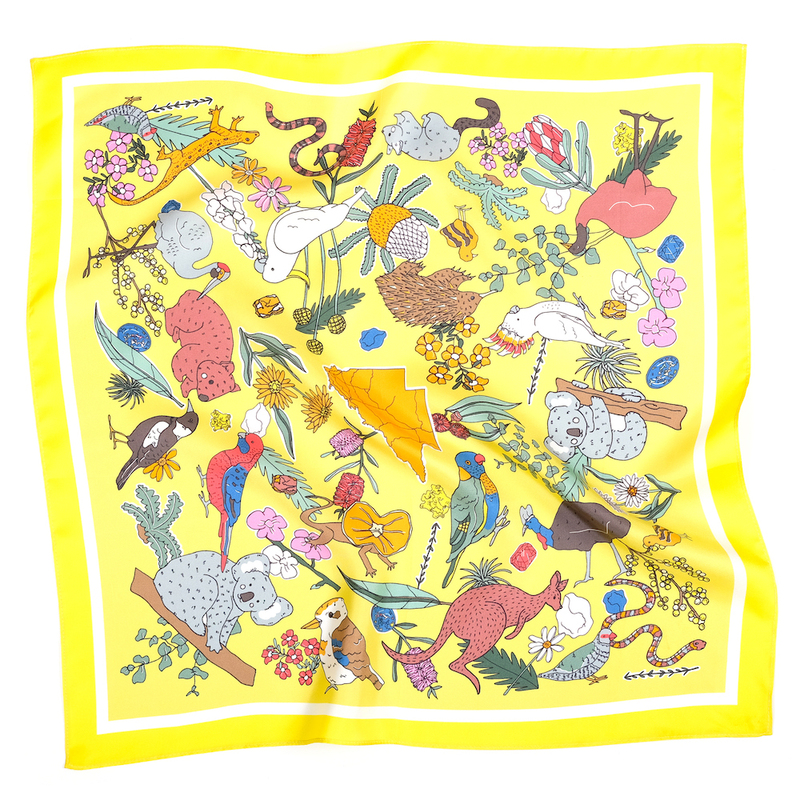 Currently available now from McKean Studio as part of the Land of the Rainbow Gold collection.